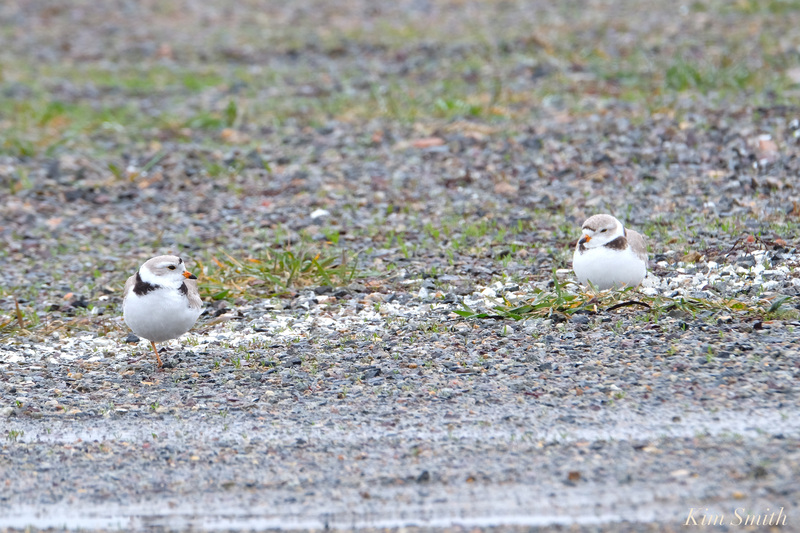 THE PIPING PLOVERS HAVE GIVEN UP ON THE BEACH AND ARE NESTING IN THE PARKING LOT. During some part of each of the past four off leash beach days, the Piping Plovers have been found in the parking lot, forced off the beach by a barrage of dogs in the nesting area, and dogs chasing them and and down the beach. For the first three of those four off leash days that they were driven off the beach, the PiPl spent a good part of the time going from white painted line to white painted line, using the color white as camouflage against predators such as hawks, crows, and falcons. They are miniature “sitting ducks” when in the parking lot, not only to natural predators, but because they are so well camouflaged, and so tiny, they are in tremendous danger from car and truck drivers who would not see them until it is too late. Nesting and courting in the parking lot. Yesterday morning at 7am, an off leash day, the PiPl were chased off the beach by a dog and its owner. They flew to the parking lot. For the next twelve and a half hours, Mama and Papa did not leave the parking lot. 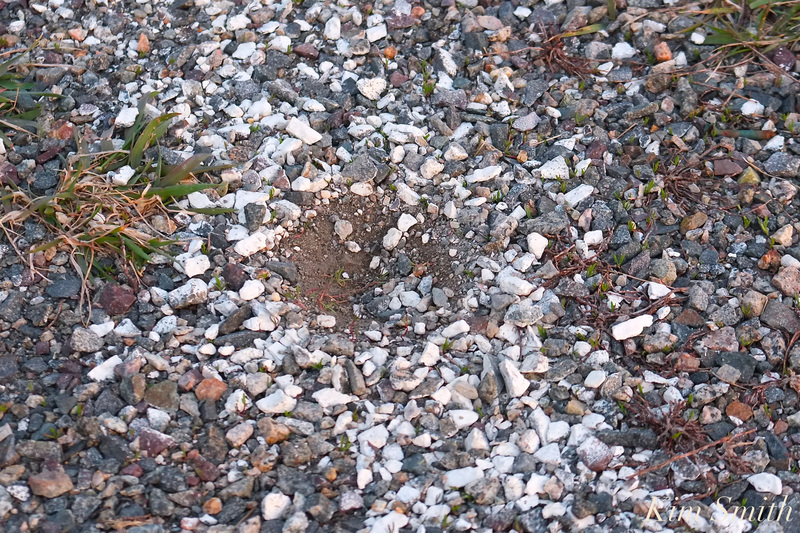 They did not eat or drink, but spent the entire time courting, mating, and building a nest scrape in the gravel, traveling from white line to white line. It was sadly beautiful and heartbreaking to watch. Beautiful in the way that no matter what obstacles they face, the little pair’s desire to reproduce is so powerful that they will continue to try, even in a habitat that is so wholly unsuitable for raising chicks. Sad and heartbreaking because this scenario was unquestionably and completely unnecessary. Yesterday the dogs were in the nesting area, poohing, peeing, romping, and digging. It happened throughout the day, from 6:30am to 8pm, but was especially challenging during high tide, when so little beach remains. The following batch of photos was taken in the short period of time that I was on the beach and not in the parking lot, as the tide was receding. When dog owners were asked by volunteer Preston if they were aware of the PiPl–most said yes–as they allowed their dog to wander into the nesting area. Dog runs into nesting area, dog goes poop, owner enters nesting area to clean up poop, can’t find poop, has to muck around in nesting area to find, finally finds poop, cleans up, dog meets a new friend in the nesting area. Last night Mama and Papa flew back to the beach after the coast was clear, at sunset. As you can imagine, they were ravenous, and ate with great gusto at the water’s edge. The Bachelor returned to the nesting area at sundown, too. Early this morning I found all three eating and bathing in the tide pools, before they were chased off again later in the morning. As I write this, the Mama and Papa are taking turns sitting on their nest scrape, in the rain, in the parking lot. The Piping Plovers can’t catch a break – off leash dogs this morning on an on leash day. It is difficult for the animal control officers to give out tickets as the ordinance is written, when it is an off leash day, especially when the dogs are running willy nilly and far away from their owners. And it is impossible for them to be there 24/7. Early this morning, which is an on leash day, Officer Dolan was handing out tickets. Call your councilors and Mayor Sefatia’s office and let them know your thoughts on protecting the Piping Plovers. Tomorrow is the last day of the spring summer season 2018 that dogs are allowed on the beach. But they are not allowed under ANY circumstances in the nesting area. If you see a dog on the beach at any time of day or night after April 30th please call the dog officer at 978-281-9746. Thank you. I have an idea to make a brochure to not only hand out to people at the parking lot entrance to the beach, but to circulate door to door around the neighborhood. 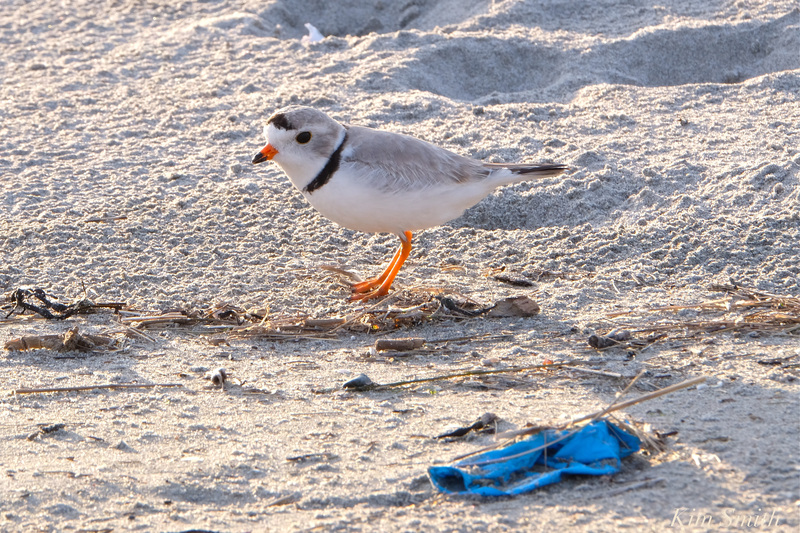 We need to help folks understand why it is so important that we help the PiPing Plovers. Thank you to all the volunteers who helped yesterday. If you came and I unfortunately did not see you it is because most of the day was spent in the parking lot. Thank you to Lillian and Craig, Leontine, Deborah, Heather, and Preston for your good work!! 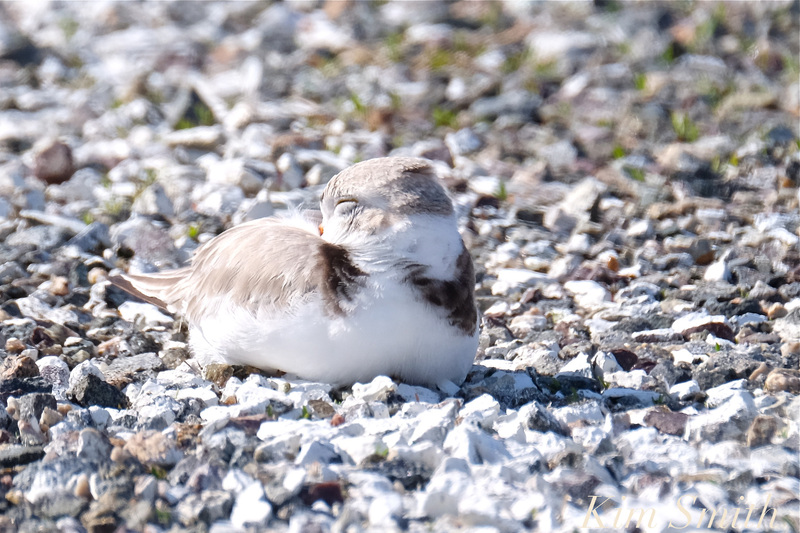 This entry was posted in Birds, Birds of New England, Cape Ann Wildlife, Good Harbor Beach, Life at the Edge of the Sea, Piping Plover and tagged Beautiful Birds of Cape Ann, Charadrius melodus, Dog vs Plover, Good Harbor Beach, how you can help piping plovers, observing Piping Plovers, Piping Plover, Piping Plover male, Piping Plover nest, Piping Plover signs, tips for piping plovers on April 29, 2018 by Kim Smith.